This is my 400th post. When I started in 2007 I barely knew how to post my words, let alone images. 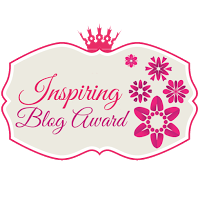 I’ve met some wonderful blog friends and been inspired by more of you than I can even name, or place on my blog roll. Thank you for stopping by and for any and all comments, it always tickles me to hear from you! I’m not a huge fan of resolutions but I am obsessed with lists. What is it for some of us? There is something so satisfying about making a list, [and checking it twice?] maybe it’s a Santa thing. So I’ve decided to start with a short list of things to do in the first quarter of the new year…wait, is this the same thing as a resolution? No, I think not. It’s more of a list of goals for life. A list of things I’d like to do that I’ve talked about but not accomplished with regularity. A simple list, really. A list to enrich daily, weekly and monthly life. Not a “cure world hunger” kind of list but one to enrich our (Mr. B. and me) lives. I’ve always maintained that if you want me to do something, put it on the list, I’ll get it done. 1. More local, weekend field trips with Mr. B or girlfriends. This is one of those items that I’ve talked about, but so far, haven’t achieved. I confess the inspiration came from our newest addition to the family, Sarah, my youngest son’s lovely wife (of 1 month). She is forever planning little getaways for the two of them to California festivals and fairs. They don’t even have to involve overnight stays, but when there’s a fair or festival that interests them, they often go. I want to do more of that in this new year. 2. Plans for the garden. I’m a garden enthusiast, but I find lately (the last 3 years) I’ve kept the garden maintained but not actively planned for new shrubs, trees, or perennials for any area in the garden. I’ve been mostly keeping things trimmed, soil turned and all plants fertilized but have failed to plant the garden of lavender I’ve wanted to grow, or change out some rose bushes that simply don’t do as well as they should in a given spot. I’ve only maintained. I want to change this status quo in the garden. I may even try my hand at planting some annuals from seed this year. I have wanted a fountain for the side yard for years. I’ve had fountains in other spaces out doors, but they can’t really be heard from the rooms we spend the most time in, kitchen, library and family room. I’ve also chosen fountains in the past that offer a sound similar to a little boy using the lavatory…not the gentle fall of water droplets that I long to hear. I’ve been told a two-tiered fountain is what I need. Trish of trouvais fame posted this image of her lavender garden a year or so ago. I decided to plant lavender where I felt it would get plenty of sun and hoped to reap the benefits of the beautiful scented plant and flowers. Unfortunately, I got started late and 2 of the plants died. I will re-attempt this planting again this spring. Isn’t this image beautiful?! 3. Entertaining more in 2013. There was a time when we enjoyed having friends in for dinner at least twice a month. I think my taking a full time job in corporate America in 2005 was when the pattern changed. Now I find myself thinking, next month I’ll have __________ [fill in the blank] over for dinner. Unfortunately I’ve been dropping the ball and “next month” has become next year in many instances. I am going to make an effort to have good friends over for dinner more often in 2013. By the way, I read that some hate the term “entertain” due to the formality it conjures up in our minds. I do enjoy the creativity of setting the table, determining the menu and planning for all of that, but we rarely do what I would consider “formal” entertaining. Most of our friends offer, and I accept their offer, to bring some small portion of the meal. It works well and I find it shares some of the work. That said, I am not above buying some great appetizer that is nearly made for me, or a bakery-purchased dessert. I’ve come a long way baby, I no longer feel the need to keep everything perfect and formal. I enjoy buying some of the meal, like a yummy appetizer from Bristol Farms or Trader Joe’s and then cooking the rest of the meal, or even letting some of the guests bring something. Either way, Mr. B and I truly do enjoy the quality time spent with friends and family over a meal in the comfort of our home (or that of a friend). Love the white table setting and surroundings (above). This was a table set for a dinner for a friend with a May birthday. It reflects the upcoming spring (when this picture was taken), but my point in including it was to show you the centerpiece. It’s a planter I pulled from the atrium and added a few English daisy. It’s fun to mix up the centerpieces with cut flowers, fruit or potted plants. This doesn’t have to be difficult or costly. Fixing food for friends and then sharing it is the goal. (Below) I love the stone items that are part of this table. So classic. For the above dinner I used a silver tray as the centerpiece and added a vase of simple flowers from the market. I used my chargers instead of a table cloth or place mats…easy and casual. Some even mix the country feel of a picnic style table with beautiful candelabras and flowers for a dinner setting that is appealing and yet, not stuffy. So that’s it, these are my goals for 2013. Not too ambitious, therefore conceivably attainable, right? Did you set any goals or make any resolutions for this year? Hi Karen, I think these are the right kind of resolutions. You garden is beautiful – just my style. When we had more land I started a lot of plants from seed. I had a three-tier light table in my basement and a cold-frame (remember I am in Vermont!) in the garden – it was tons of fun. I would love have that set up again one day. My resolutions are coming together now and are similar to yours – mostly about living life better, more fully yet more simply. Thanks for reminding me of this. Hi Phyllis, I am so happy you commented on this post. I tried to put a couple of posts in the queue for the holidays and this post was meant to go into the 1/3/13, but I failed to change the year…so I pulled it and will re-publish it in the New Year. I have such a romantic image of Vermont…think White Christmas. I’ve never been to your beautiful state but I love *your* home. I even think I’d like the cold. I have always missed “seasons” having been born and raised in Southern California. How great to have had the cold frame and light table for growing plants from seeds. I’ve seen some amazing annuals from fellow bloggers living in the East. I really want to try it this year…there are a lot of poppies and other annuals that aren’t readily available at our local anniversaries. Wow! Congrats on your 400th post! That’s a LOT of time/energy/love! All of those sound like good (non) resolutions. Especially the one about weekend or day trips… Our favorite day trips are the shore… and we don’t make as much of an effort when it’s not beach-weather. Although, I do like to drag Paul to the Architectural salvage companies that have become really popular in Philadelphia… but he never agrees to buy a giant marble pillar or something. I don’t know why not… I CLEARLY need one. p.s.- I’m a portmerion girl too. I have the botanical garden, but now wish I’d gotten the rose collection instead. My mom has the holly and the ivy too, and she swaps them out for the holidays… I’m like? Seriously? How do you have the time to change out your dishes? Oh, I would love to have architectural salavage yards in the vicinity to visit. I love recycled old stuff, especially architectural adornments and pediments and the like. Funny, your house could handle a marble pillar, maybe you need to add it to your wish list for your birthday! I hope to stick to my plan to visit additional places and events, it could be really fun. Congratulations are definitely in order! Four hundred posts is quite a milestone. As a faithful reader, I don’t know what I’d do without my daily dose of GHP. The photos are wonderful – especially those of your garden and table. Again, kudos to you for a significant achievement, my friend, and a big thank you from me. Thanks so much, especially to you. You have been so supportive and provided encouragement along the way. I really do appreciate it! Karen, I like your “To-Do List” for 2013! 😀 I think it’s a manageable list that promises to be lots of fun, too. I like it better than traditional resolutions that can be easily broken and frustrating. In lieu of resolutions, I’ve decided to focus on monthly goals. That way I’ll get instant gratification when I check items off my list, and I think that will encourage me (I hope). I like Ricki Jill’s monthly goals idea and I’m so with you on entertaining. Hoping to keep up with sharing food with friends and family a lot more often in 2013! Happy new year!